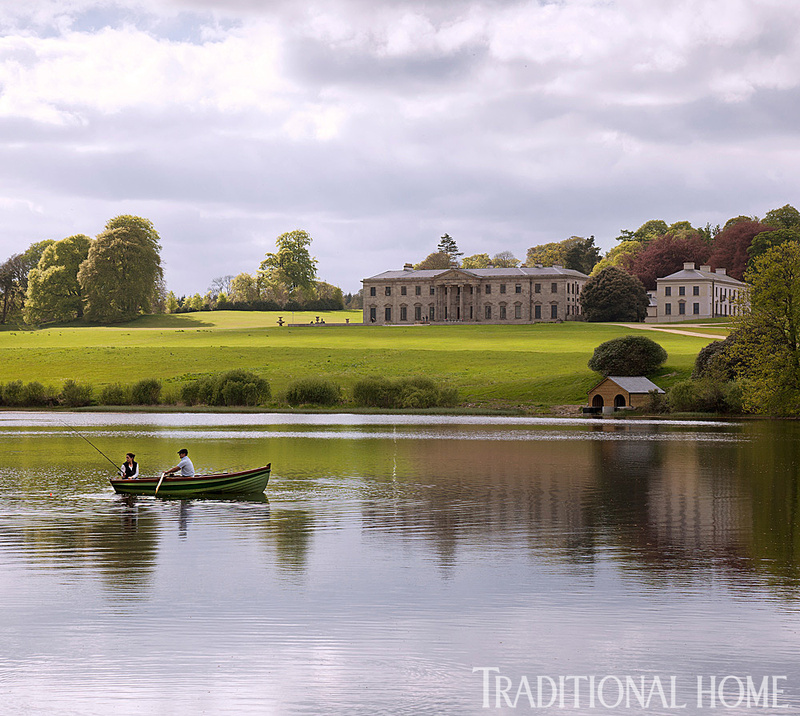 The exceptional beauty of Ireland’s Ballyfin estate reveals itself in glimpses along the meandering drive that winds from the entry gate to the grand, blush-hued main house. 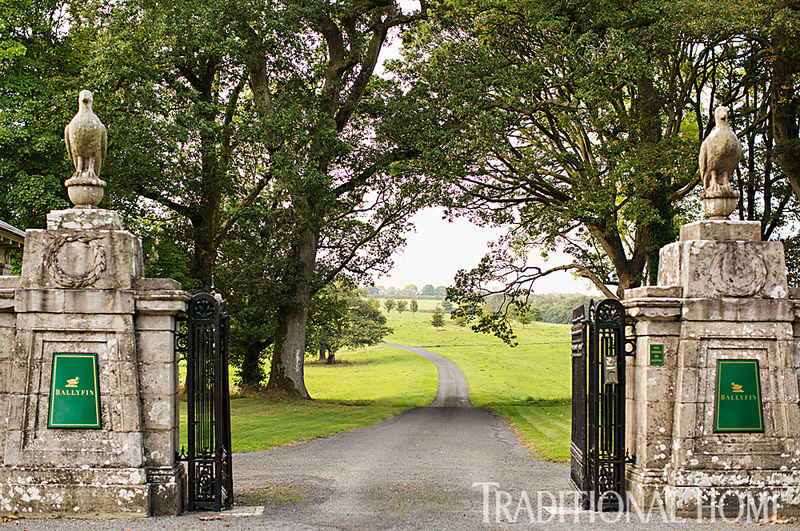 Bucolic scenery greets guests at Ballyfin’s entry gate. It’s as if time has retreated, transporting visitors back to the mid-19th century in the brief trip through just a tiny pocket of the haven’s 600 acres. Restoring this splendid manor and turning it into a five-star hotel was a labor of love for Chicago businessman and Ballyfin owner Fred Krehbiel and managing director Jim Reynolds. 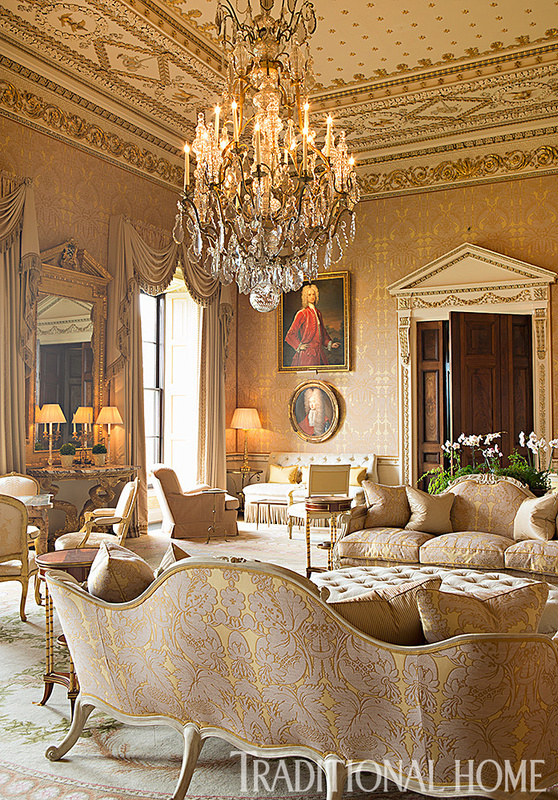 When Krehbiel purchased the down-at-its-heels property in 2002 from a Patrician college, he resolved to restore it to the grand Irish country house it had been in the 1820s when Sir Charles Coote commissioned architect Richard Morrison and his son, William, to build it. But in later years, the home’s life as a boys’ school had taken a toll on much of Ballyfin’s spectacular detail, so renovation was no small task. During the eight-year restoration, Krehbiel and Reynolds employed a platoon of artisans and craftsmen under the leadership of London-based interior designer Colin Orchard to repair the home’s exquisite architectural details and transform the estate into the elegant getaway it is today. 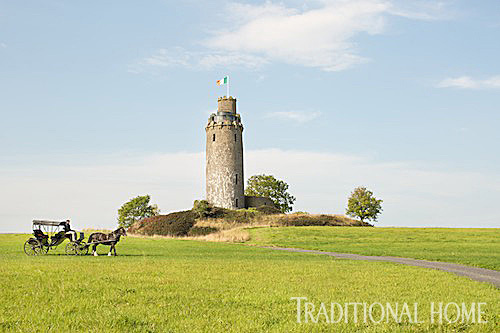 Ballyfin now gleams like a hidden jewel—with each facet more beautiful than the last. Every turn reveals a breathtaking interior where no detail was overlooked during the extensive restoration. 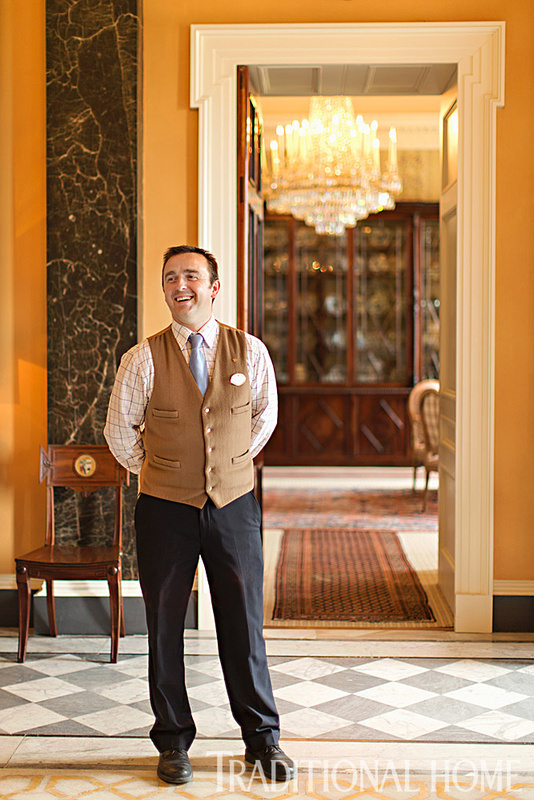 In the entrance hall, cheerful staff welcome road-weary travelers. The Empire-style gold drawing room features gilded plasterwork, silk-draped walls, and a stately chandelier once owned by Napoléon Bonaparte’s sister. The gold drawing room, with its stunning chandelier, is one of the more formal spaces in the hotel. Artisans painstakingly repaired an intricate Moorish-inspired marquetry floor in the saloon piece by piece. The corroded and shattered conservatory was dismantled and sent off-site to be repaired, reglazed, and reassembled. 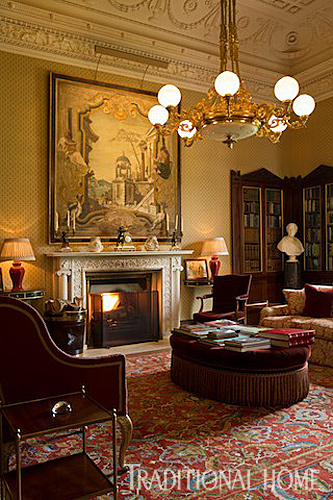 Restored white Italian marble fireplaces with elaborate carvings grace many rooms. 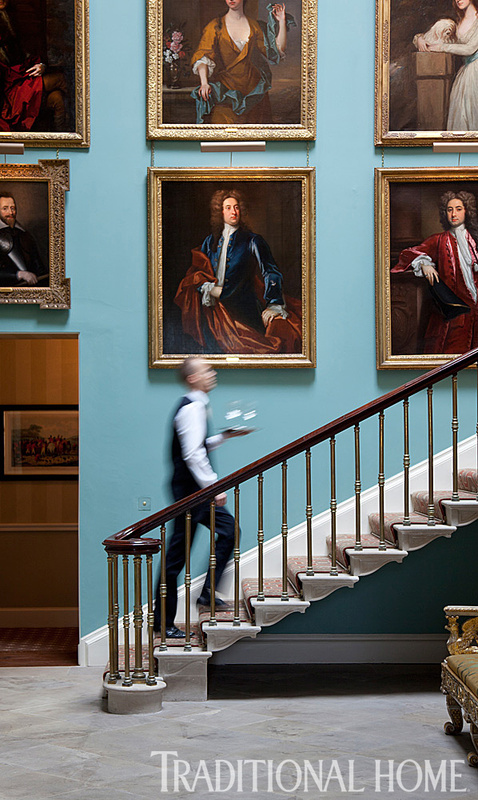 In the brilliantly blue stair hall, Coote family portraits, returned home after removal nearly 100 years ago, reside above a cantilevered staircase. Genteel details abound in the guest accommodations. Heavily patterned wallpapers and intricate plasterwork form the background for the decorating that gives each room its own flair. Hand-painted walls in the Trellis Room create an atmosphere of a blooming Irish garden. Elaborate passementerie dresses canopy beds draped in rich fabrics that also festoon windows. Portraits in gilded frames adorn the walls, and marble baths add to the opulent atmosphere. 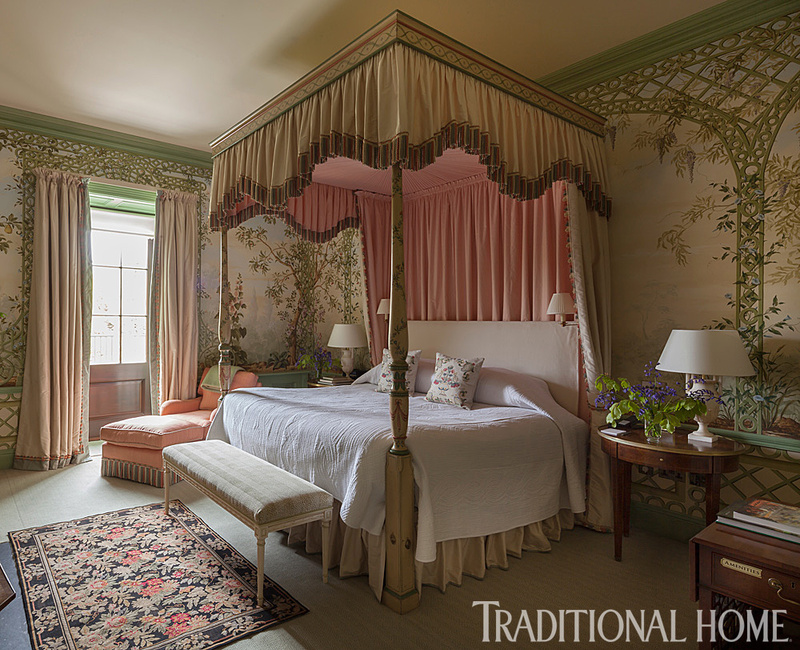 Last year, five new suites were added, including the unique Trellis Room, with walls hand-painted by artist Lucinda Oaks to evoke a perennially blooming garden. 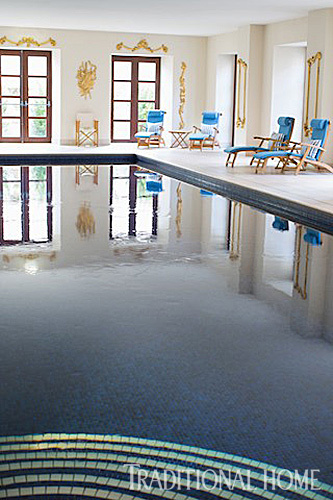 The pool and spa areas are equally resplendent. 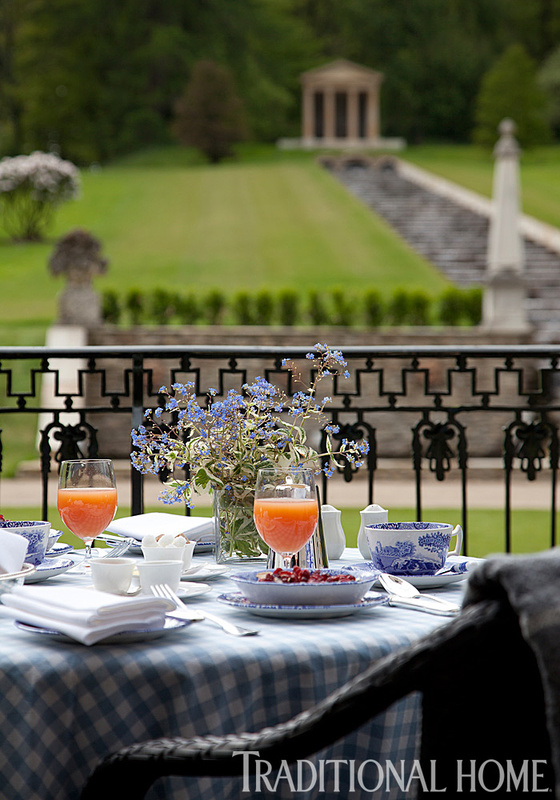 An alfresco meal off the state dining room offers views of a water cascade. While stately suites inspire repose, bucolic grounds offer plentiful distractions. An 18th-century grotto calls to romantics. The serpentine 30-acre lake beckons rowboaters and fishermen. A limestone tower offers sweeping views of the estate from its glazed observatory. Gardens—from a rose retreat to the fernery—encourage quiet strolls or summer picnics. Inside or out, Ballyfin is sure to enchant.